From the chest, to the wrist and now the arm, Polar is offering another way to track your heart rate if the first two places on the body don't cut it for you. The Polar OH1 is an armband that can be worn on the upper or lower arm and packs in an optical heart rate sensor. 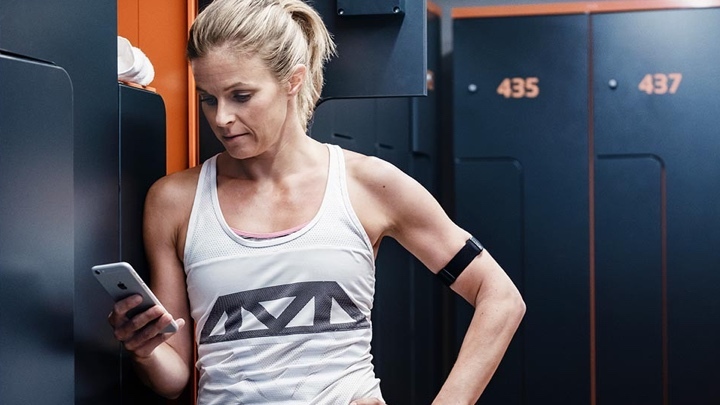 Like its H10 chest strap, there's also internal memory letting you store up to 200 hours of workout data with a battery life of up to 12 hours. The band itself is made of soft material with a buckle to secure it in place and is waterproof up to 30m, although it doesn't have 5kHz transmission support that the Polar H10 has to provide heart rate data in the water. Unlike a chest strap, there's no need to moisten the strap to make sure you pick up a good reading. So why the arm? Well, it perhaps has a lot to do with the fact that not everyone likes wearing chest straps, despite Polar making some of the best in the business. We actually use them in our HR accuracy tests. There's also still question marks that linger over the reliability of wrist-based heart rate monitors and we even had our own issues with Polar's M430 running watch, which houses Polar's new six-LED optical heart rate sensor. Polar says its OH1 is the first of its kind, but for those in the know about all things heart rate, the Scosche Rhythm+ has been offering this method of measuring HR for a few years now and is one of the most accurate heart rate monitors you can get your hands on. The OH1, which is compatible with Bluetooth compatible Polar and Bluetooth devices along with Polar Beat and Flow apps is priced at $79.95 and will be available from mid-September. We hope to get our hands on one to see if this heart rate monitoring armband is up to the task.